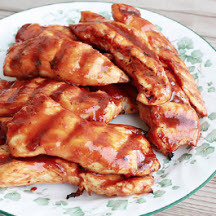 CooksRecipes has quality, kitchen-tested recipes for barbecue-sauced chicken, that you can count on for successful deliciousness. 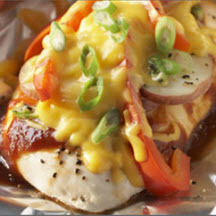 Grilled chicken is topped with a zesty orange barbecue sauce. Cooking in foil packets is easy and fun, the food tastes great, kids love it—and clean up is a breeze! Here's a recipe that gives an old favorite a new twist! 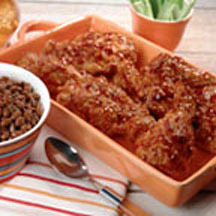 Developed by PBS' Barbecue America, host Rick Browne. "Old Ladies On A Bus"